Calculates both actual and adjusted yardage depending on the degree of slope. Provides you with a flashing reticle indicator when the laser is locked on the flag plus short vibrating bursts for sensory notification. 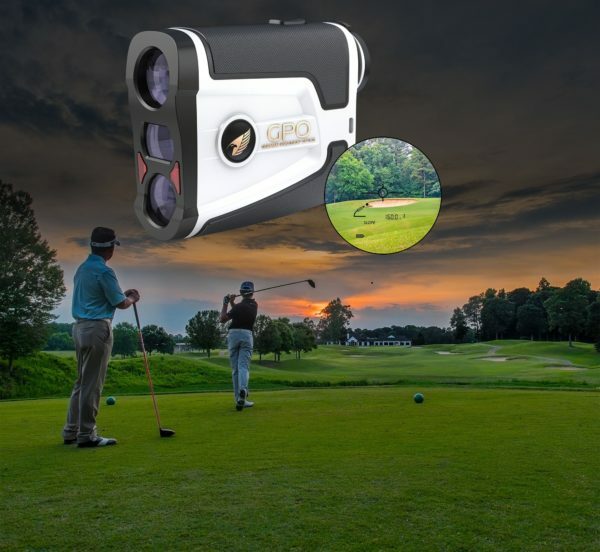 See and feel your distance. 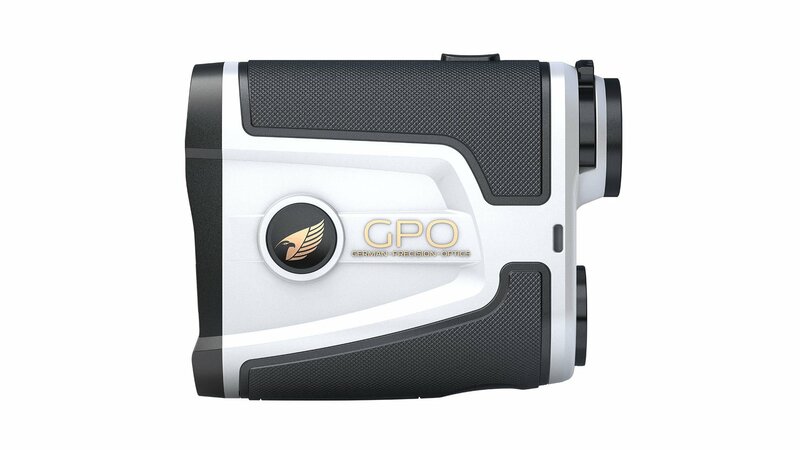 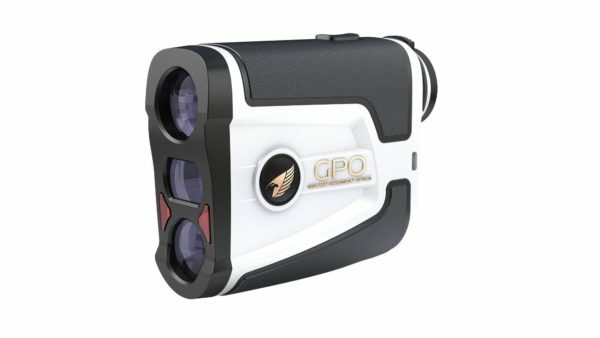 The GPO FLAGMASTER™ 1800 will make your game better by merging exceptional optical performance with the latest rangefinding technology. 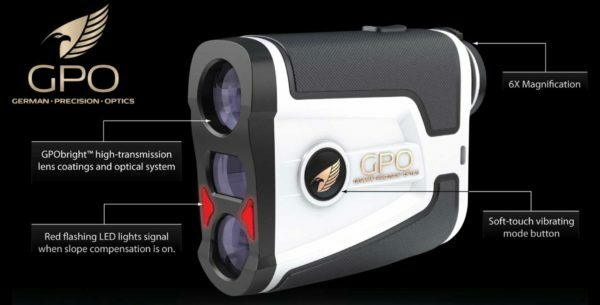 It is equipped with a fast-focus ocular which helps you locate the object you want to range. 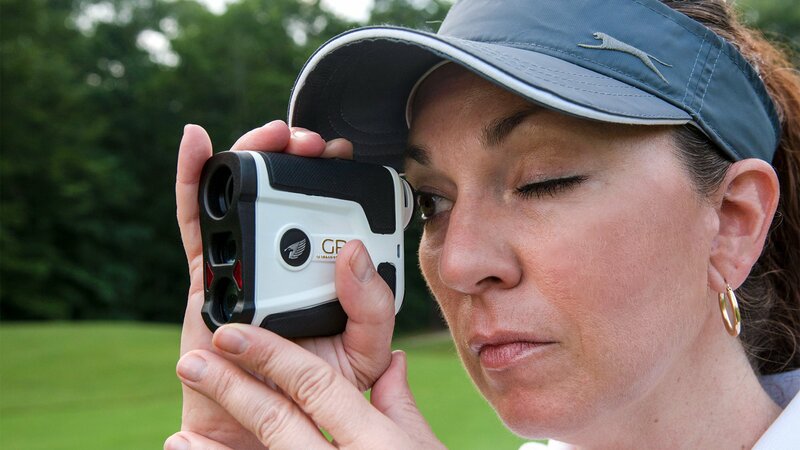 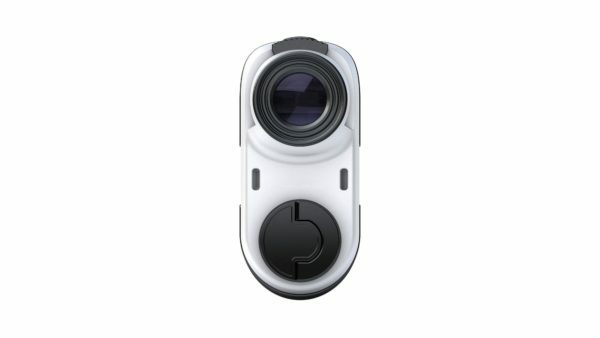 Center that object in the view-finder reticle, press the button and the FLAGMASTER™ will quickly calculate the actual or slope distance for you. 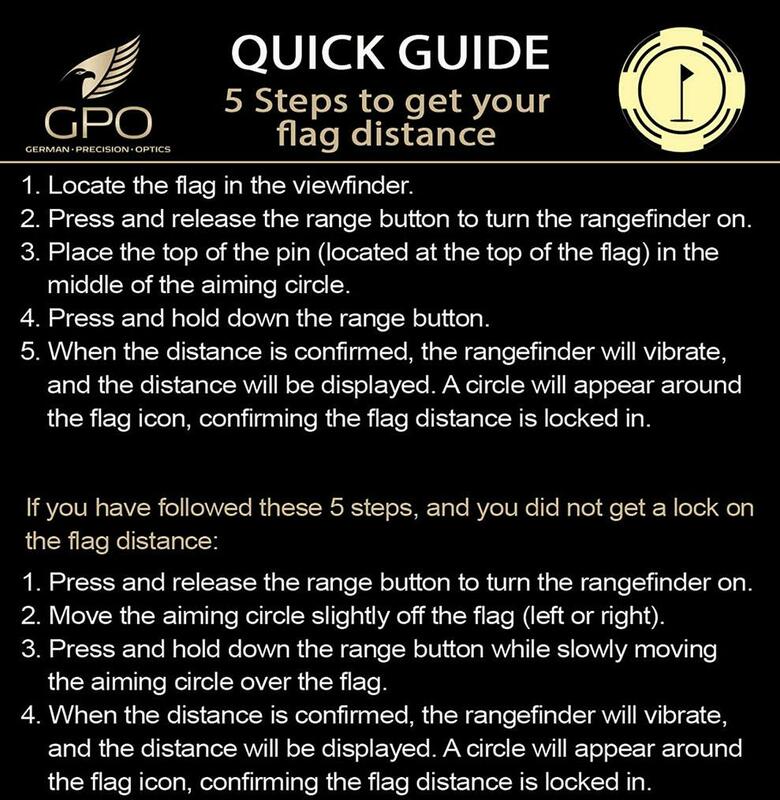 Know your distance and elevate your game. 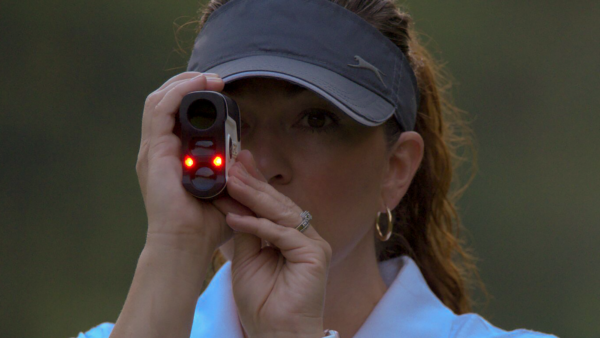 Red flashing LED lights signal when slope compensation is on.